Moving house can be a stressful experience, so why not let Handy Locks take the worry out of how many people have keys to your new property! Do you know who has keys to your new home? If the answer is NO then give Handy Locks a call. Around 40,000 homes will change hands this year with many buyers unaware of how many keys are in circulation with a third party. The rate at which spare keys are not reclaimed is at the highest in rental properties, where tenants do not reclaim spare keys when they move on. The main recipients of spare keys for the majority of householders are family members (aprrox 75%). By not changing the locks and not ensuring that all points of access are secure, you could be putting your home at risk! If you were to be broken into and your possessions damaged or stolen your insurance claim may be void, as some insurance companies will not pay out if you have not changed the locks on moving house and not done enough to secure your property. 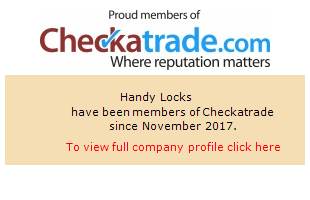 Here at Handy Locks we can assess your needs, change and if needs be upgrade your current locks on doors and windows, including garages. All locks will be supplied and fitted to British Standard 3621, which is now required by most insurance policies!